We are a full service plumbing company serving the Northwest Arkansas community. Check out our reviews on Facebook and elsewhere to see what others say about us! If you have a plumbing problem and need a technician in the Bella Vista, Arkansas area, then give JC Plumbing a call! From faucet leaks, toilet repair to full kitchen remodels, we would love the chance to earn your business and see why so many other residents in the area choose us as their go-to plumbers! Let us help! With our 20 years experience, our qualified team can provide you with a FREE in-person estimate with upfront pricing! Call us today to speak with an expert. We are a full-service plumbing company. Get started with a FREE estimate. Plumbing problems can make your home less comfortable to live in. Imagine having clogged drains in your home. This is a serious plumbing problem as it will prevent you from using the toilet, kitchen sink, shower, bathtub and all other plumbing fixtures around the house. A leaking faucet, on the other hand, will increase your water bills and make annoying noises that can make it hard for you to go to sleep. Whatever the plumbing problem you are experiencing at home, you can always count on JC plumbing to respond to your call and come to your rescue. For over 15 years, JC Plumbing has been servicing all the residents of Northwest Arkansas, including the communities of Rogers, Fayetteville, Fort Smith, Springdale and Bentonville among others. If you are a member of any of these communities, you should always hire JC Plumbing, the most trusted and most reliable plumber in Northwest Arkansas. If you have clogged drains in your home, you can schedule a drain cleaning service with JC Plumbing. After the service, you can expect your plumbing system to function optimally. That said, the entire drain system in your home should be cleaned at least once every year to prevent accumulation of debris inside the drain pipes. If your water bills in the recent months have been higher than normal, you can call JC Plumbing to come and check your plumbing for leaks. If there is a leak, repairs will be carried out to save you money on water bills and prevent further water damage. Be sure to also call JC Plumbing whenever you have a problem with an appliance, such as your water heater. Other services that are offered by JC Plumbing include; gas leak repairs, kitchen remodel, bathroom remodel and general plumbing maintenance. 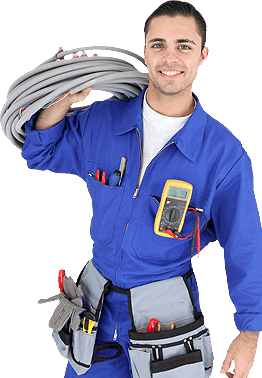 JC Plumbing offers 24/7 emergency repair services, has an experienced and professional team of plumbers and guarantees honest pricing. These are three great reasons for Bella Vista residents to call JC Plumbing today.